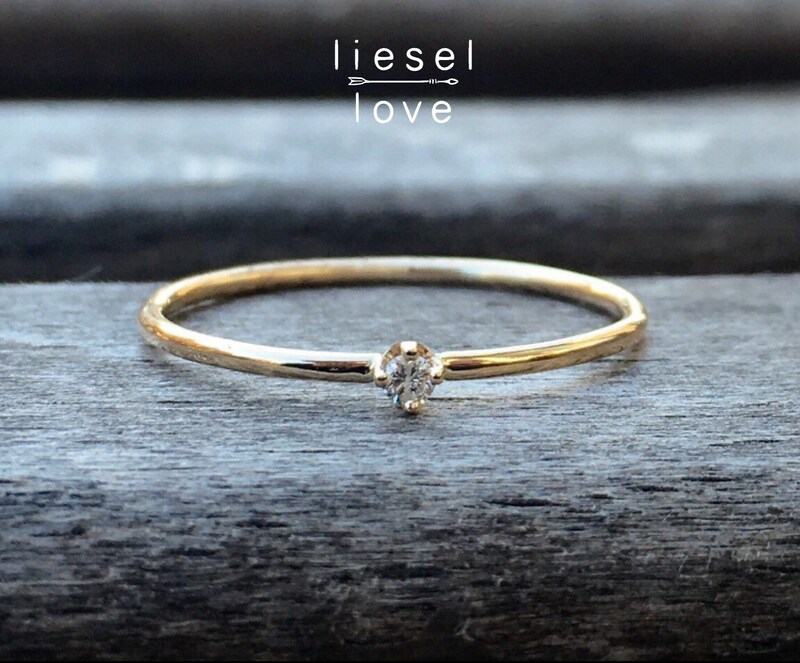 This dainty ring is just the sweetest! 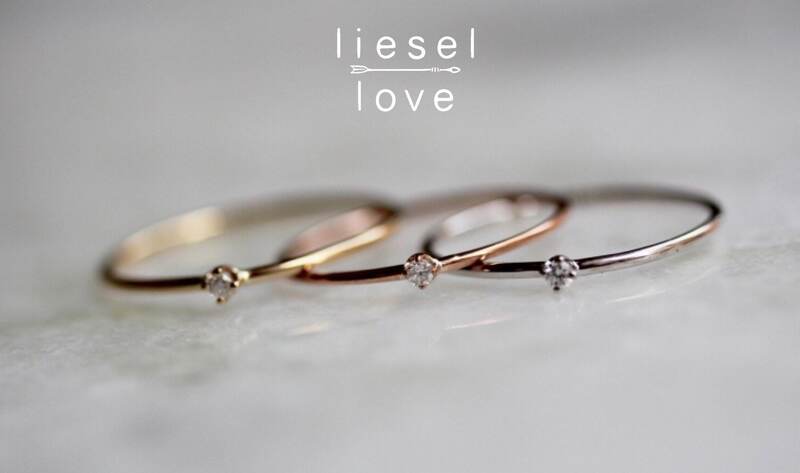 With a tiny little diamond set in a 4 prong setting, it makes a perfect midi ring or stacking ring! Dainty and absolutely beautiful, thank you!! Will be wearing it everyday. I love it!! Would highly recommend! 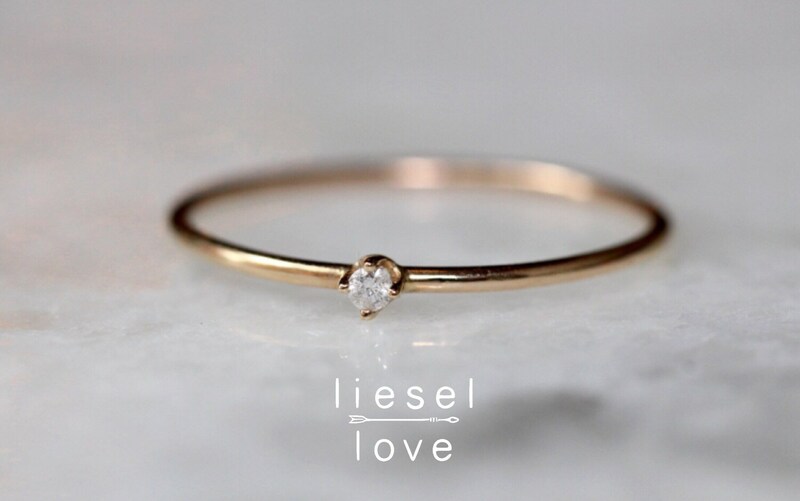 This is the sweetest little ring. It’s perfect! My fiancé and I picked it out. I wanted something small, delicate and practical for every day wear. It’s modest but exactly what I wanted. The little diamond shines its brightest! The band is thin but strong. Thank you so so much! I love it dearly, it will be one of my most treasured possessions! 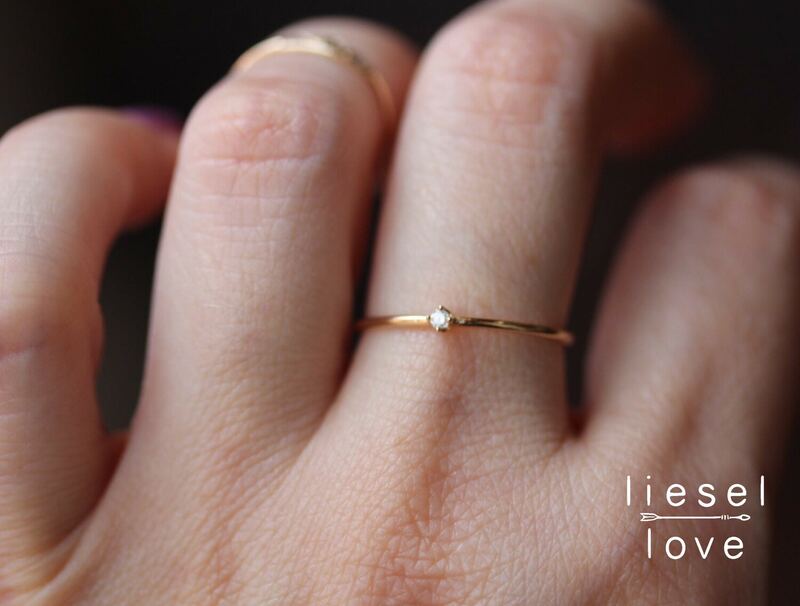 I love this beautifully made, dainty little ring! It's exactly what I was looking for, shipped on time, and it looks so pretty on. Thank you!